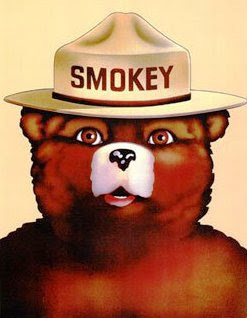 Smokey was especially popular in the '50s through the '70s, but he seemed to “go away” in the late '80s and '90s. The Snooze Button Generation caught up with him to see what he was up to during those down years. Snooze Button Generation: Wow. Smokey the Bear. This is truly an honor to interview such an icon. Smokey: Thanks for the sentiment, kid. But just to set you straight. My name is “Smokey Bear,” not “Smokey the Bear.” Am I gonna call your blog thing Snooze the Button? I don’t think so. Do I say George the Bush? Do I say Howard the Johnson? No. Do some research. SBG: Well, actually, I did some research, and I found a bit of a gap in the '80s and '90s, when you were hardly in the public eye. I could not find a record anywhere saying where you were or what you were doing. Could you shed some light on that anomaly? Smokey: Talk to Julian Schnabel. Smokey: You heard me. Talk to Schnabel. SBG: Are you referring to the New York director and artist, Julian Schnabel? Smokey: Hello! How many Julian Schnabel’s are there in the world? Listen, kid, I’m flattered you’re interested in my whereabouts when I was in New York. But anyone who’s anyone in the downtown art scene knows exactly where I was. SBG: What do you mean? Smokey: Do you know what it’s like to be hanging out in forests all your life? Do you know what it’s like to be a part of corporate America, exploited, expected to put on a smiley face and yammer on about forest fires??? Do you? Huh? Do you??? SBG: Well, no. I guess not. Smokey: So you say I wasn’t in the public eye, but I still was. It was just a different scene – my scene. SBG: Wait a second. That rings a bell. You’re talking about your foray into the downtown New York art scene. Right? Smokey: Of course. It’s where I finally felt alive. It’s where I did my best work. SBG: Yes. I remember hearing some rumors about that. You went by a different name and changed your look . Right? 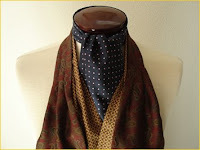 Smokey: All I can say is that wearing an ascot goes a long way. SBG: Oh, and what were those rumors about you and Chloe Sevigny? Smokey: Listen. I don’t know why you think it’s appropriate to ask me about her. I will say that Ms. Sevigny is a fine young lady, a superb actress. That’s all I have to say. SBG: Is your relationship with her over? Smokey: OK. That’s it. F this. This interview is done. Peace out, buddy.